If you suffer from blood sugar concerns, managing your weight can be especially difficult. But this fantastic duo may support both. Green tea extract is beneficial for thermogenesis, or fat burning, and it's also involved in increasing metabolism, making it a great choice to help you reach your weight loss goals. 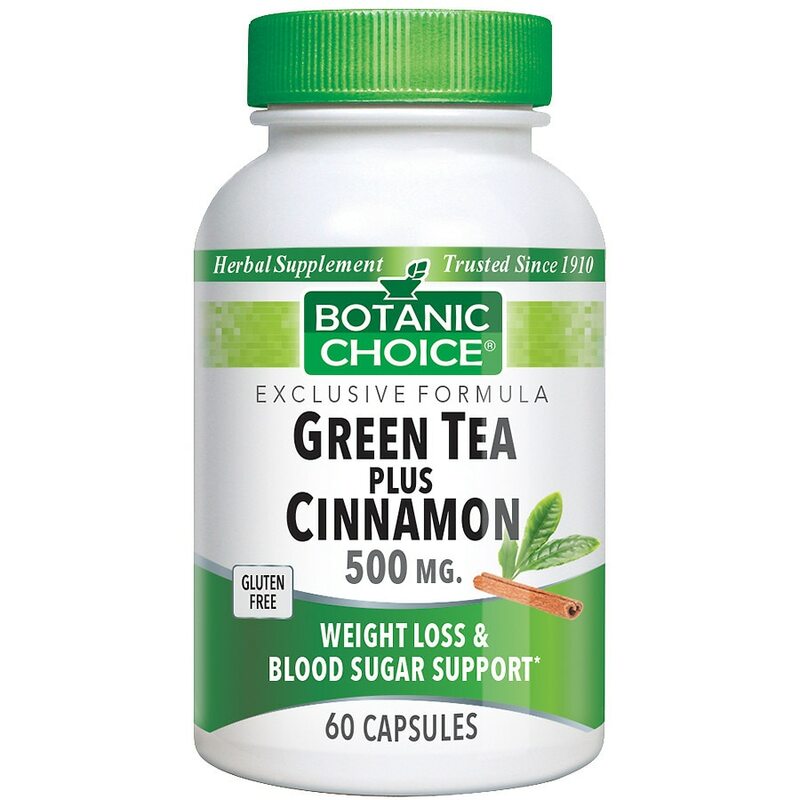 Cinnamon works to maintain blood sugar levels that are already within the normal range. The result: Your health gets two big benefits from two time-honored herbs. The Apple Pie Secret: The connection between cinnamon and blood sugar was ground quite by accident when researchers were studying why people who ate apple pie had lower blood sugar levels. Turns out a key ingredient in cinnamon, called MHCP, helps your body efficiently metabolize insulin. This doesn't mean you should eat apple pie every day, but it does mean cinnamon may be beneficial to you. An added benefit. Cinnamon soothes your digestion, too. Enhance your health with the finest green tea. The ancients were right! Green tea fosters health and vitality. It contains epigallocatechin gallate (EGCG), a powerful antioxidant that fights free radicals, including those in your vital organs like your cardiovascular system. If you're going to take green tea supplements, make sure they're high quality you can trust, like ours. Our green tea is an extract, standardized for 60% polyphenols, the potent component of the tea. Standardization means you'll get the same consistent dosage and the same potency every time you take it. There's no guessing involved. And, we use only the best part of the tea, manufactured by well-respected leaders in the industry. As always, we guarantee it, unconditionally. Take 2 capsules once daily, with meals, as a dietary supplement, or as directed by a physician. © 2012 Indiana Botanic Gardens, Inc. If you are taking any medications or are pregnant or nursing do not use prior to consulting a physician. KEEP OUT OF REACH OF CHILDREN. .